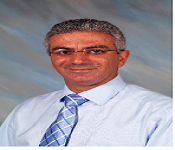 Joe Michel Chehade is a Professor of Medicine University of Florida College of Medicine, Jacksonville, Florida.He was the director of Saint Francis Medical Center, Cape Girardeau, MO. May 2000- July 2007 (ADA Accredited Program).South East Missouri Hospital, Cape Girardeau, MO. May 2000-July 2007.Board Certification: American Board of Internal Medicine, Endocrinology, Diabetes and Metabolism Subspecialty, 1999-2009, Recertification: American Board of Internal Medicine, Endocrinology, Diabetes and Metabolism Subspecialty, 2009-2019.He has published 2 book Book Chapters: 1.Chehade JM, Mooradian AD. Drug Therapy: Current & Emerging Therapy in Type 2 Diabetes in Diabetes in Old Age. 2001 (Second Edition) 199-214; Wiley Publication, Sinclair JA, Finucane P. 2.Chehade JM, Mooradian AD. Drug Therapy: Current & Emerging Agents for Hyperglycaemia in Diabetes in Old Age. 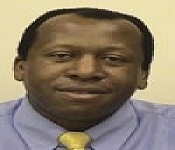 2009 (Third Edition) 245-264; Wiley Publication, Sinclair JA, Finucane P. He has published 30+ articles. ongoing research 1. Chehade JM, Haas MJ. Effects of GLP-1 & Exenatide on HDL cholesterol. Amylin Pharmaceuticals, Inc. (21975$). 2. Chehade JM, Mooradian AD. Age-related changes in thyroid hormone action in humans. Dean’s Fund Faculty Research Grant. (9083$). 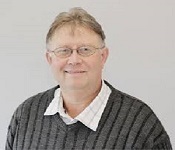 Prof Muller focuses his research on the potential role of phenolic compounds in the prevention and treatment of metabolic conditions such as insulin resistance, dysbiosis, obesity and type 2 diabetes. He is also involved with a proteomics study to identify early markers for type 2 diabetes. These markers are currently being tested in human subjects. He has 2 International patents (the USA and Europe) for the prevention of diabetes and has authored and co-authored 81 peer-reviewed articles and two book chapters. Metabolic disease (pathophysiology, prevention, and treatment), phytotherapeutics and early detection of type 2 diabetes. His research is mainly focused on investigating the role of the heme oxygenase system in hypertension, diabetes (types-1 and -2), and obesity. Born in Germany in 1972. He completed his specialist education at Ege University. During his professional life, she worked as a psychiatric specialist in a general medical hospital, as an associate professor of psychiatry in the second largest mental health hospital in the Turkey. 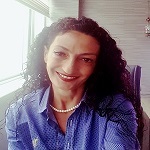 Since 2014, as a professor of psychiatry, she has taught at Üsküdar University and has been working with bipolar disorder in NPIstanbul Brain Hospital. Another area of interest is psychoanalytic psychotherapies.